I know it could be a LOT hotter, but the humidity has that familiar wet stinky wool blanket feel. It’s hard to get a fresh breath of air when the all the air is like dog breath. Welcome back, Monday. I’m not too pleased to see you. 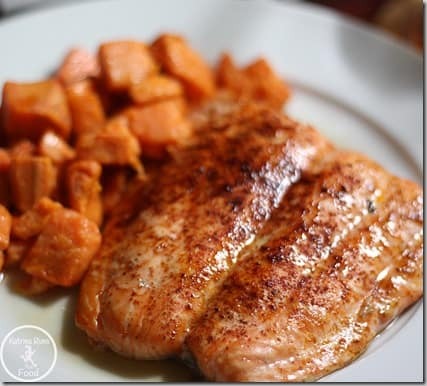 Dinner was salmon and sweet potatoes. I cheated by using frozen cubed sweet potatoes from Whole Foods. I shall get a lot more bags of these, after I verify these aren’t from China. I keep forgetting to check that! Anyway, these were GREAT! No chopping or peeling, just quick cook in a pan and serve. 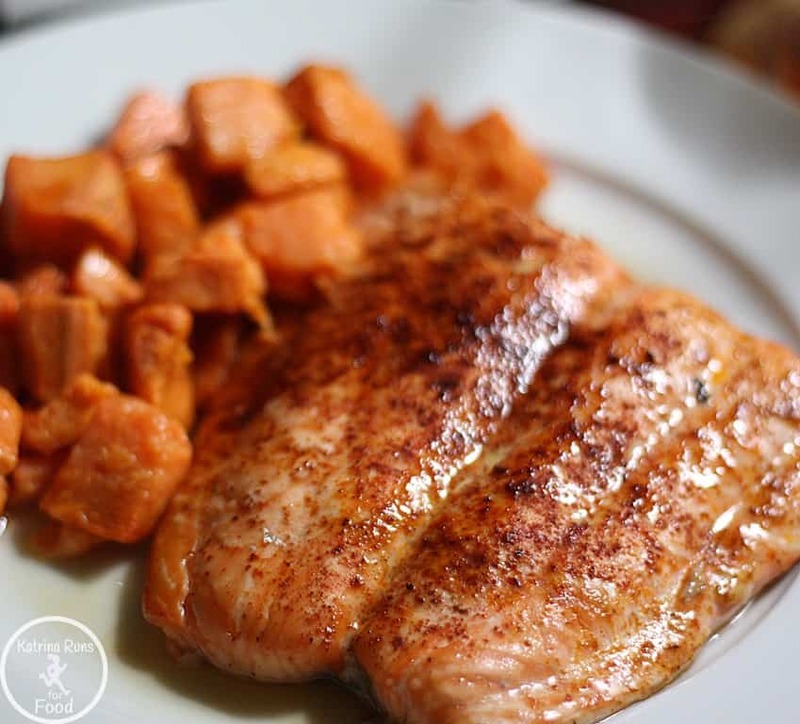 The salmon has chipotle and smoked paprika. I should branch out and do other things with salmon. Short and sweet post today. It’s still summer break and I’m not doing much but pinning stuff for my classroom that I have no intention of actually using. Happy Monday!